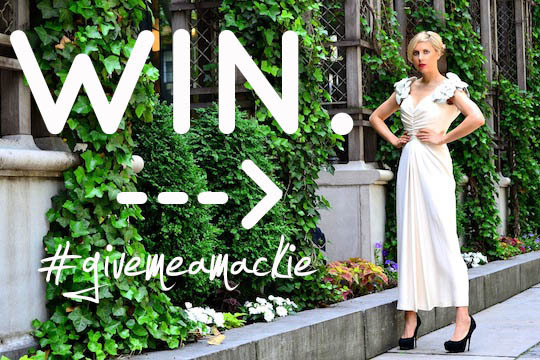 Win a vintage Bob Mackie dress! Hello loves! My girl Sammy of Sammy Davis Vintage is spreading vintage love by hosting a really amazing giveaway that I wanted to share it with all of you! Sammy is giving away a fabulous Bob Mackie dress from his runway collection circa 1982 and it could be yours! Bob Mackie has dressed the very best of celebrity glamazons like Lucille Ball, Betty Grable, Jayne Mansfield, RuPaul, Cher and many more so you don’t want to miss out on this fabulous contest! Here are more details about the contest and dress specs below! The dress is an approximate modern size 2-4. Sammy is 5’9″ tall and wears a modern size 4-6. The dress was a little tight on her and had little breathing room. STEP 1: Follow Bob Mackie, Sammy Davis Vintage, and Screaming Mimis on Instagram. STEP 2: Time to brainstorm! Why do you deserve to win this Bob Mackie dress? How will you wear it? Honor it? Cherish it? Sammy Davis Vintage and Bob Mackie want to know – and it’s up to you to persuade us why you can give this dress the happiest home of them all. STEP 3: Take a deep breath and feel your #powerwithin before filming. Shine your authentic self! Be be colorful, be candid, be true, be you! STEP 5: Don’t forget to hash tag your video, #givemeamackie and tag @bobmackie +@sammydavisvintage + @screamingmimisNYC in the video description. STEP 6: Create an alter to sequins and pray to the Gods of glamour. Oh wait … that’s what I’m doing – totally optional for you! Designer Bob Mackie will choose the final winner to give this collectible dress a happy home. Could it be you? 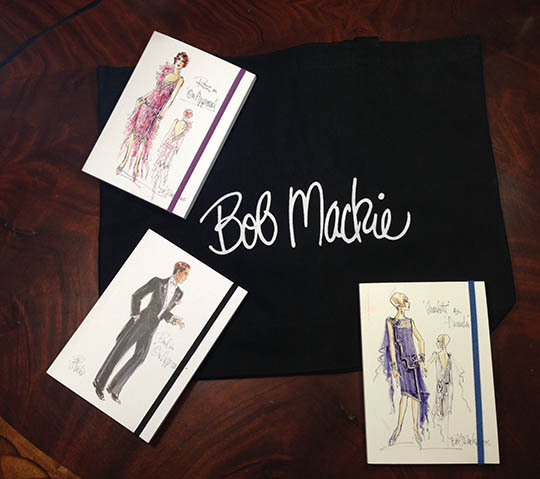 Plus: Two lucky runner-ups will receive a set of exclusive Bob Mackie notebooks (a set of 3 notebooks per each winner), to be released to the market on fall/winter 2013. Each notebook is decorated with an original Bob Mackie illustration. The winners will be two of the first to own these notebooks! The contest begins today, August 1st, 2013 and closes at 12:01AM on Thursday, August 15th. Entries must be US-based (continental US, Hawaii and Alaska) and 18 years or older. For friends and followers in NYC: The dress will be available for viewing in the window of Screaming Mimis (382 Lafayette Street, off Astor Place) beginning Tuesday, August 13th for approximately two weeks. Sammy of Sammy Davis Vintage and the owner of New York City vintage store Screaming Mimis will choose the 10 runner-ups. Final contest winners will be contacted by the team of Bob Mackie. To read the complete contest terms & conditions, click here. Love this contest? CLICK TO TWEET and spread the #vintagelove! ← The Coney Island Candy Stripers!